The 2013 Nissan 370Z has been unveiled by Nissan at the ongoing Chicago Motor Show. Nissan has announced that this car has been built specifically for the US market. The delivery of this car will begin from June this year and it will be made available in three different versions – Coupe, Roadster and NISMO. 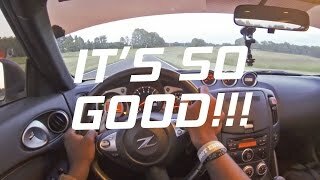 The 370Z is not quite what we had expected it would be. The front fascia does not carry that deadly look of the 2012 version. Instead it has been watered down somewhat and made to look different. But other than that it is really difficult to find any more difference between the two versions. But there are minor changes to the lightings at both front and rear. New 19-inch wheels are another addition to this vehicle. The rear end also sports a red reflector instead of a black covering. But apart from that there is hardly any change as far as the exterior of this vehicle is concerned compared to the 2012 model. The 2013 370Z carries the same 328bhp 3.7 liter V6 engine that the 2012 model had. The NISMO variant will be powered by a 350HP variant of the same V6 engine. Along with that the NISMO will have a uniquely designed H-shaped exhaust system and a special engine computer module. As far as transmission is concerned, customers will have choice between a six-speed manual and a seven-speed automatic. The vehicle also incorporates “Euro-tuned” shock absorbers for a smoother ride. NISMOS will have a six-speed manual transmission. On the inside, the 370Z has dark finish trim for all its gauges and has an upgraded audio system from Bose with two subwoofers and two extra speakers. Positioning of the seat and the driving wheels makes for a great driving position. 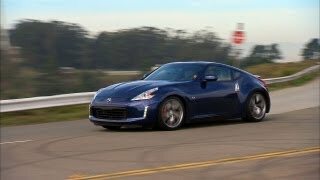 This is one area where Nissan has done a real good job with the 2013 370Z. But overall, there is no big change in the interior of the car as well. 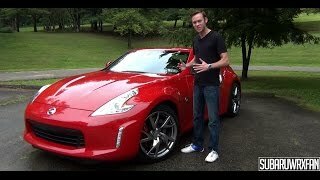 Price of the 2013 Nissan 370Z has not been revealed yet by the company. If it’s February in Chicago, it’s time for one thing – sports cars. Bringing a taste of hot performance to the Windy City winter, Nissan today debuted the revised 2013 Nissan 370Z on the floor of the 2012 Chicago Auto Show. 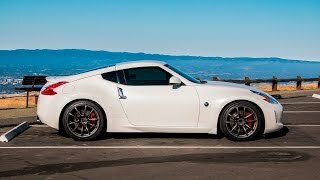 The new Z®, which is scheduled to go on sale at Nissan dealers nationwide next June, features a number of enhancements designed to keep the legendary sports car fresh and exciting. 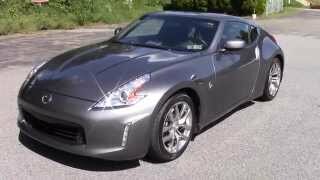 For 2013, the Nissan 370Z will once again be available in Coupe, Roadster and NISMO Z configurations. The NISMO 370Z also adds a new Bose® Premium Audio Package with two additional speakers and two subwoofers, premium gun metallic dark-finish 19-inch wheels, and Nissan GT-R style high-rigidity brake hoses and performance brake fluid. The NISMO 370Z does not adopt the new front fascia/rear reflector, Euro-tuned shocks or Midnight Blue exterior color. “Since the original 1970 Z® was first introduced our goal has always been to keep the design moving forward. The changes for 2013, though subtle, go a long way in enhancing its dynamic appearance inside and out,” said Al Castignetti, vice president and general manager, Nissan Division, Nissan North America, Inc. The Nissan NISMO 370Z, a tuner-Z® enthusiast’s dream, will once again cap off the lineup – offering racing-inspired exterior and interior styling, a specially tuned suspension and unique super-lightweight forged alloy wheels. Its 3.7-liter DOHC V6 engine is matched with an exclusive H-configured exhaust system design, muffler tuning and optimized ECM (Engine Computer Module) control – creating 350 horsepower and 276 lb-ft of torque. Only one transmission is available, a close-ratio 6-speed manual transmission with standard SynchroRev Match®, which allows rev-matched heel-toe-like downshifting.